Sometimes there seems to be a lot of change, but other times there is a lot of work but not much apparent change. This was one of the latter session, but with much progress. 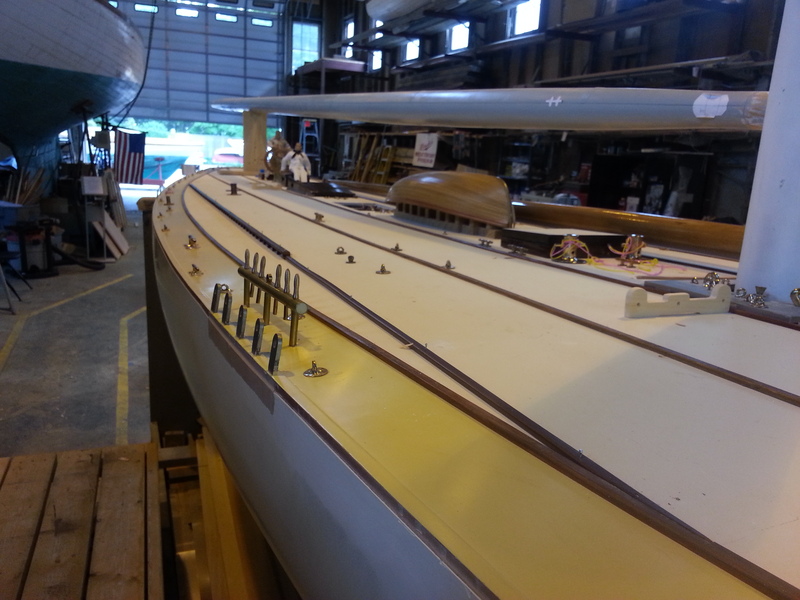 The toe rails at the stern have been fabricated and stained and pinned in place. The starboard handrail made and stained and also pinned in place along with accompanying toe rails. 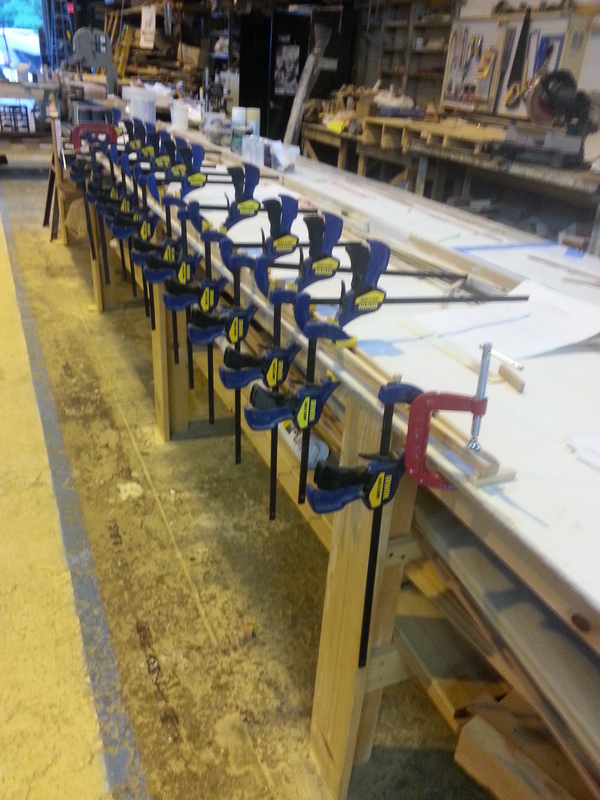 Steve has been working on the starboard pin rail and making sure the belaying pins are properly seated. 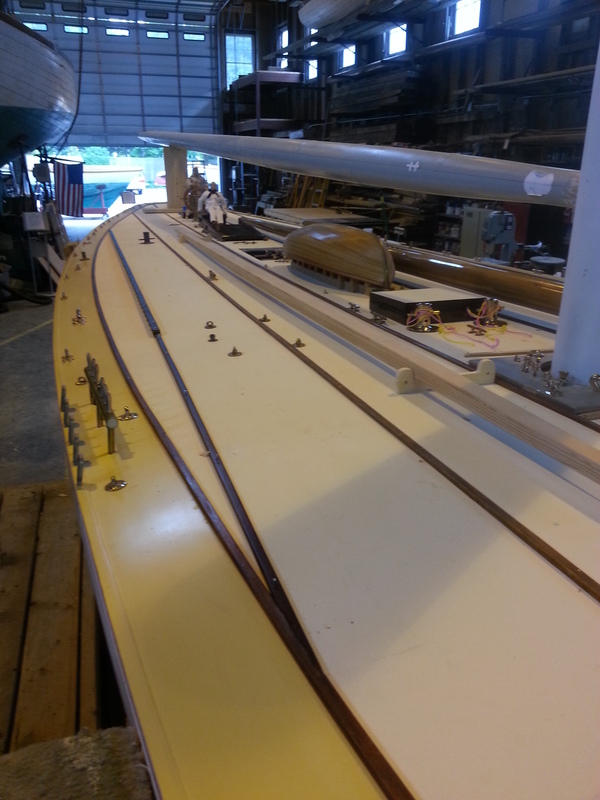 The outboard belaying pins and center eye are actually part of the stanchions and have been tapped, threaded and glued into the deck. Chocks for the spare #2 yard and club stowed on deck were made and the #2 topsail club placed in its resting place. Herb has been gluing up the #2 yard. 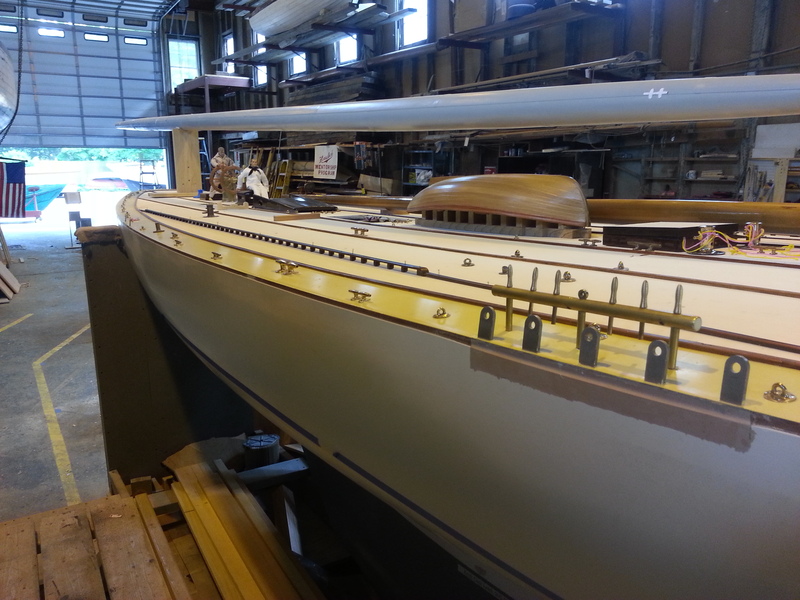 Meanwhile Mike has been finishing up three large bollards; two of which are seen in photo 4 in front of the hatch and one amidships portside in photo 1. More deck fittings should be arriving over the next weeks.